The Scentsy Family Foundation was created to offer philanthropic support through a combination of scholarships, charitable cause products, and direct donations toward individual efforts and community-based causes. How are causes chosen? 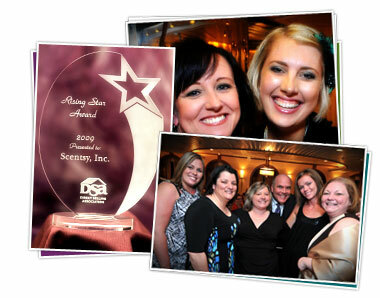 The Independent Consultants who make up the Scentsy family nominate charities they believe in. Each limited-edition warmer or buddy will be available through your Scentsy Consultant for six months only. Scentsy’s new charitable cause warmer Champion was designed to help the next generation of Special Olympics athletes reach for the stars. 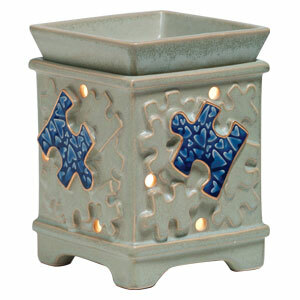 Through February 28, 2013, Scentsy will donate $9 (CAD) from the sale of each Champion Warmer to Special Olympics International. This year Scentsy’s new charitable cause warmer Heartfelt is raising funds to help save a life; designed to support the work of the American Heart Association® and the *Heart and Stroke Foundation of Canada™. These nationwide non-profit organizations raise money to fund lifesaving research and to educate people about cardiovascular disease. *VISIT SITE HERE! Heartfelt’s ornate silver medallion floats in a glossy red sea of embossed hearts in Scentsy’s newest Charitable Cause Warmer. To make the most of this contribution opportunity, Heartfelt is priced at $35 (USD)/$42 (CAD). Scentsy is proud to support the American Heart Association and the Heart and Stroke Foundation of Canada™. Don’t be too busy to protect your heart – see what the experts recommend and make the effort – it’s your heart and you only have one! Thank you to all who supported our Fall/Winter Charitable Cause – which raised $322,504 for the Ronald McDonald House Charities® who help improve the health and well-being of children and families in need, all over the world.! Scentsy’s Fall/Winter 2011 catalog introduced Sasha, honoring the children who find a comforting and accepting retreat in the Ronald McDonald Houses here in North America. The plush teddy bear, wearing a hospital smock, had a zippered pouch in its back to hold a Scent Pak which releases fragrance, and 100% of the profits from the sale of these bears went towards this charity fundraiser. Our local British Columbia “Northern Light’s” team also delivered over 80 Sasha Bears, bought by Consultants in our team, to a Ronald MacDonald House here in BC after the Scentsy Spring Sprint in Vancouver, 2012. Solving the Puzzle ~ PIECE By PIECE! In Spring, 2011, Scentsy created yet another NEW Scentsy Family Foundation Charitable Cause Warmer to benefit the charity “Autism Speaks”. By the end of September 2011, Scentsy presented “AUTISM SPEAKS” a $533,880 donation in a ceremony in NYC. CLICK HERE to see the Video! Thank-you to all who helped with this Scentsy Fundraiser!